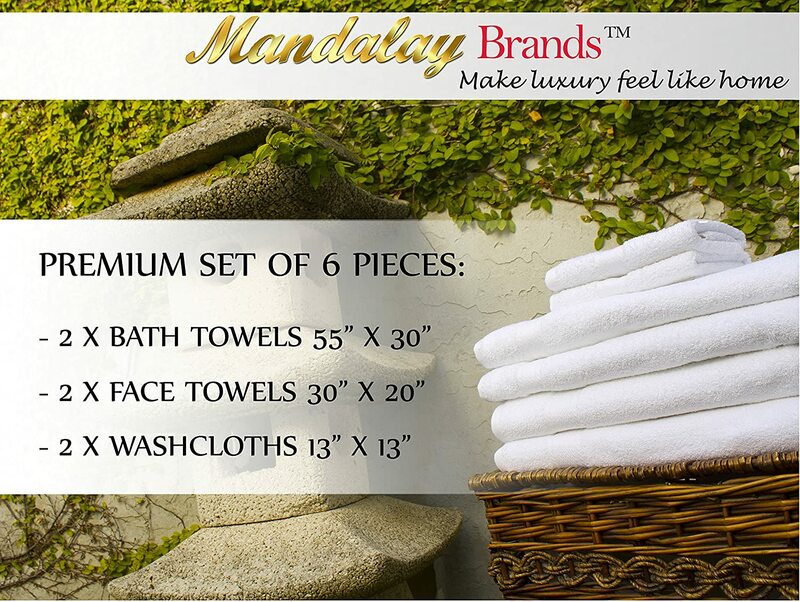 The SET INCLUDES 2 bath towels 30'' x 55'' inches, 2 hand towels 20'' x 30'' inches. and 2 washcloths 13'' x 13'' inches each. Woven LONG-STAPLE (long FIBERS) highly absorbent, resisting continuous wash cycles without fraying or falling apart. 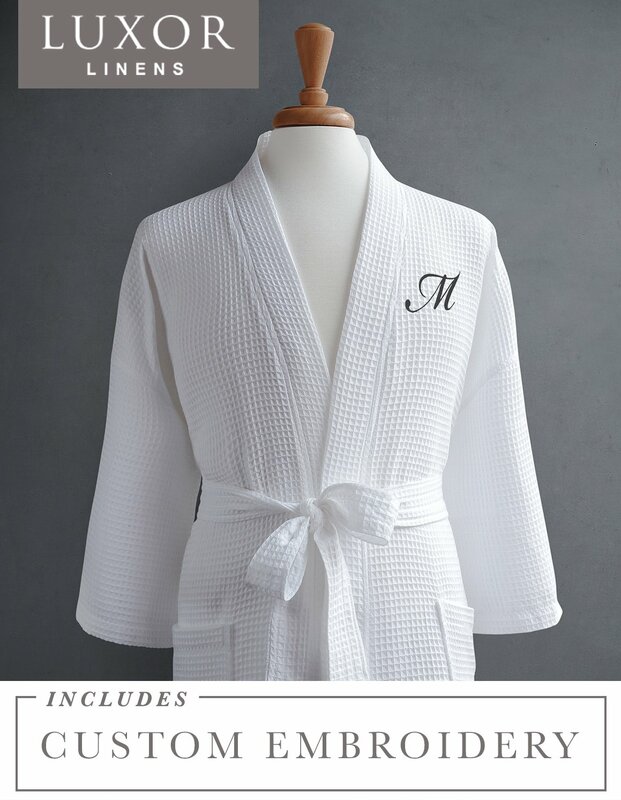 CLASSIC & LUXURIOUS DESIGN for the best feel on its use. Free of Chemicals, made only with natural materials for your family safety. COLOR FADE-RESISTANT, SOFT AND PLUSH made with 100% high quality cotton. 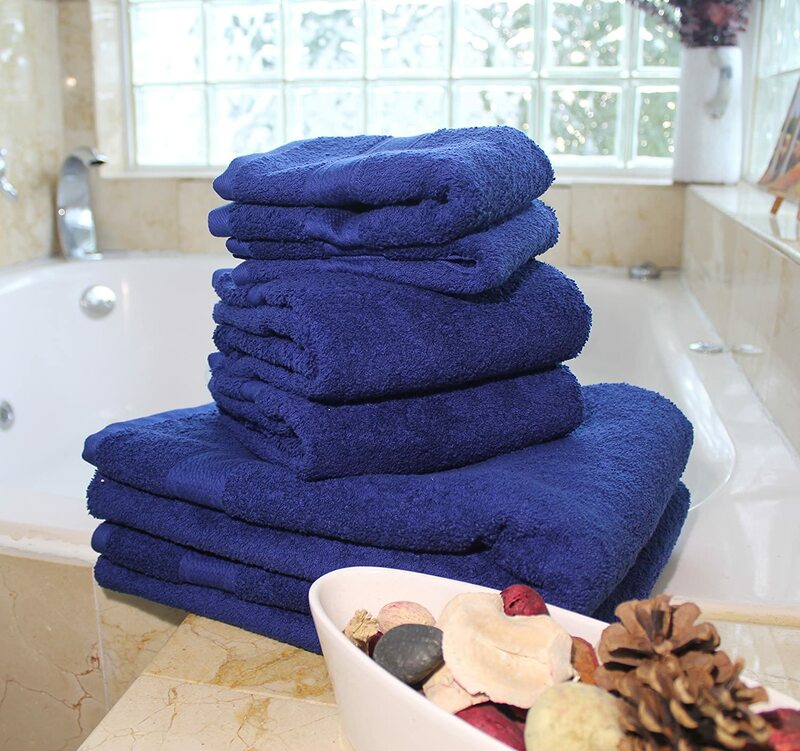 THICK TOWEL MATERIAL: 750GSM-density (Grams Per Square meter). which means extra absorbency, durable, and fluffier after a few wash cycles. 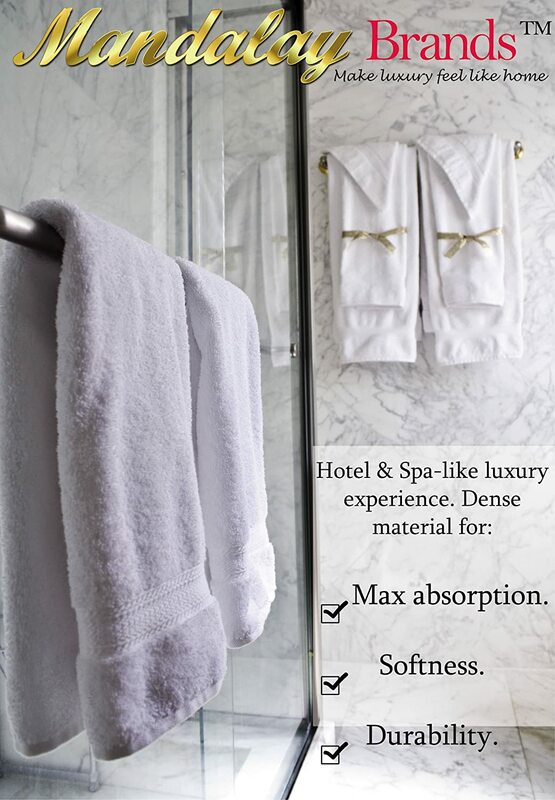 HIGHEST QUALITY TOWELS GUARANTEED: Luxury hotel & Spa-like experience manufactured in state of the art Swiss looms. 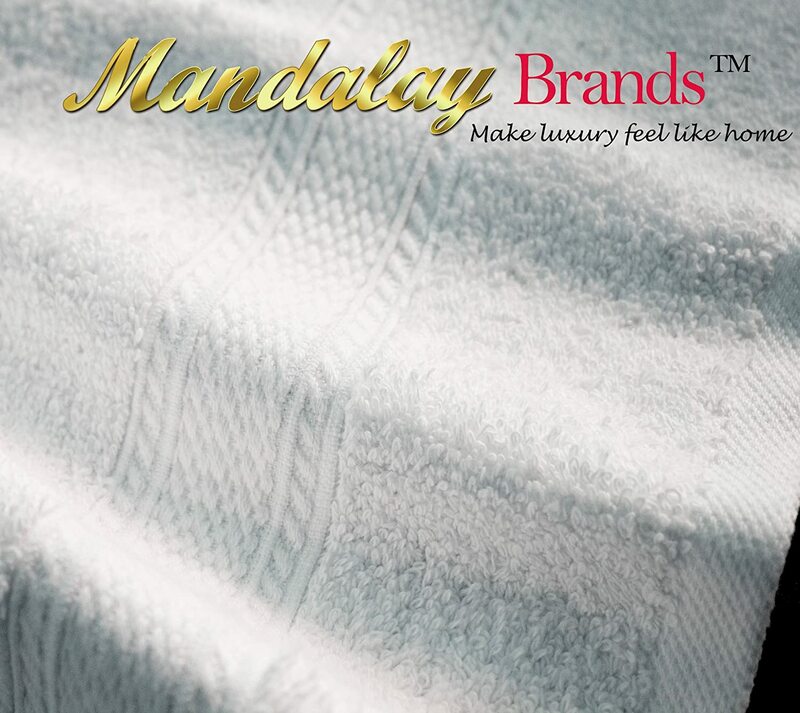 Inspired by the lifestyle qualities of spirituality and peacefulness from the city of Mandalay, indulge yourself with a luxurious super absorbent spa-like towels at a reasonable price. 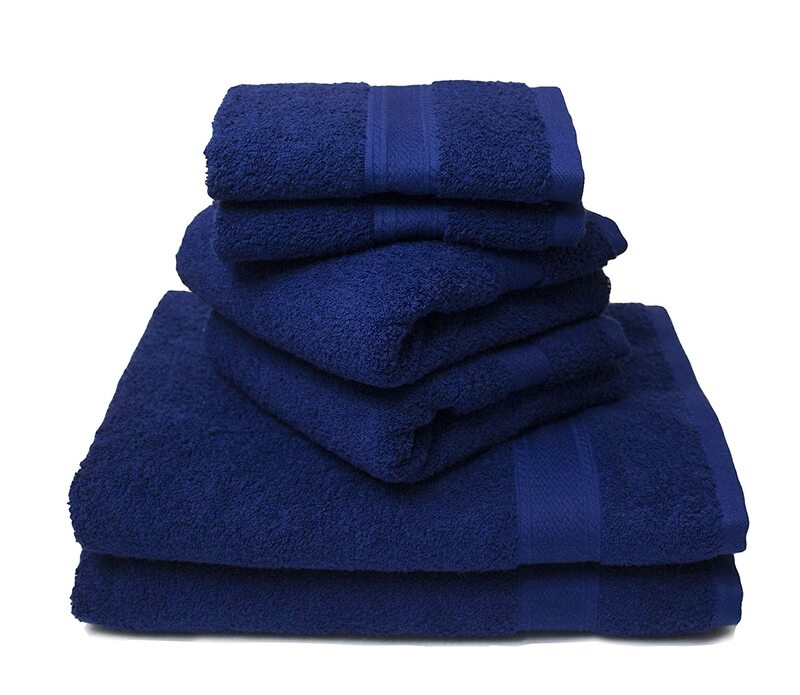 The quality of towels is determined by the GSM (grams per square meter). 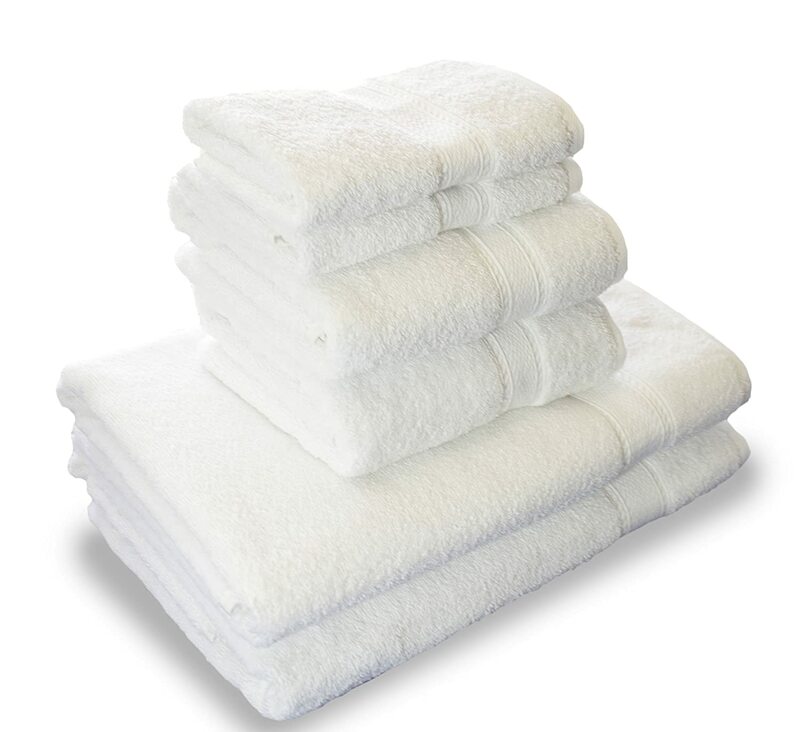 The high 750 GSM of our towels guarantee highly absorbent long lasting material. 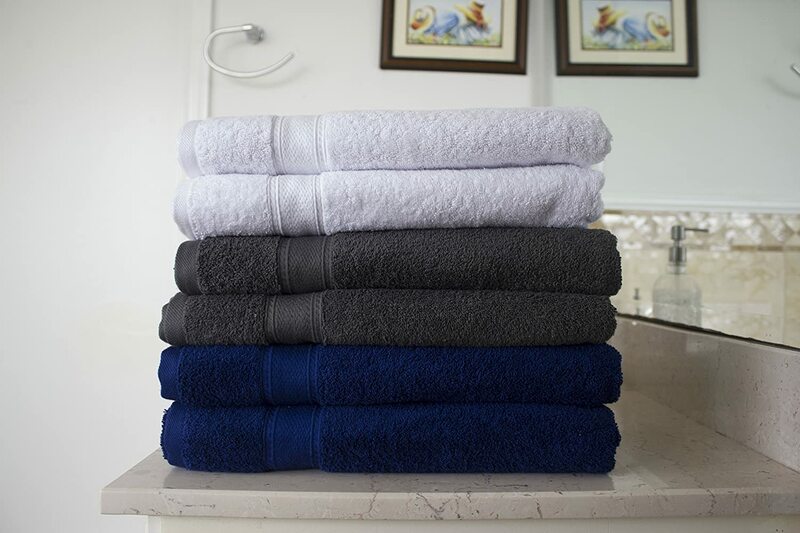 With each wash cycle the towel gets softer and fluffy. Woven with high quality Swiss looms avoiding loosening fibers and resisting even more wash cycles than common brands. 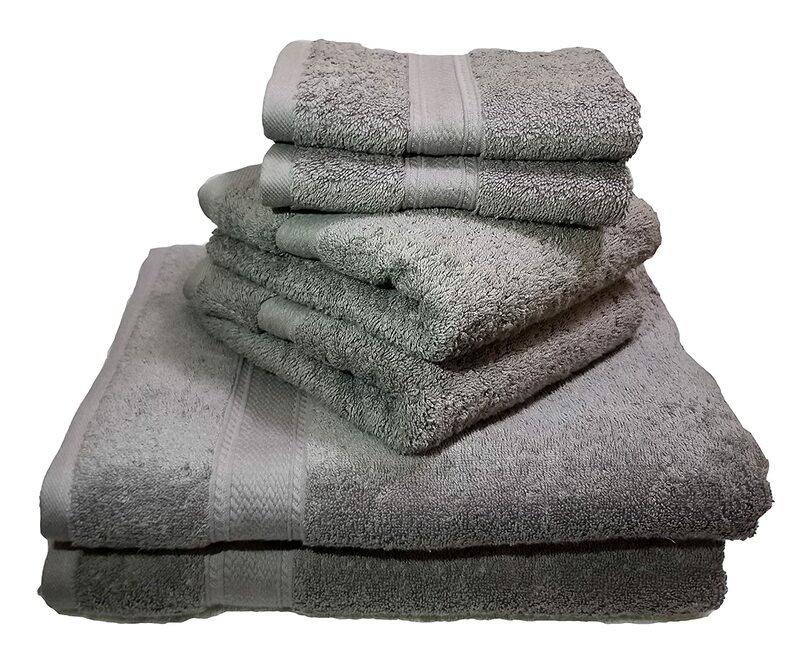 We believe in the quality of our products 100% CUSTOMER SATISFACTION MONEY-BACK GUARANTEE If you are not satisfied with our towels. Return them within 30 Days for a full refund. No Questions Asked. 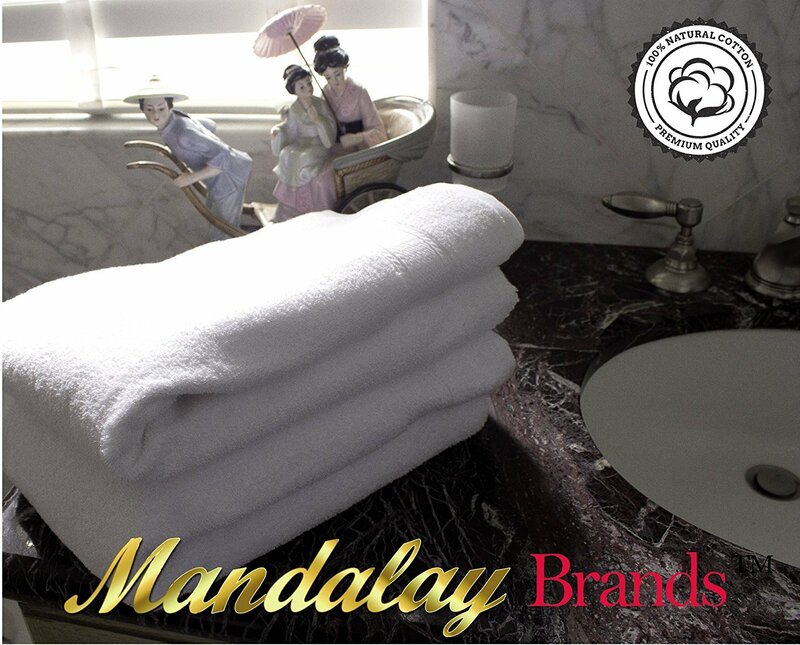 Note: MANDALAY BRANDS is the only authorized seller for Mandalay Brands towels in USA, we do not recommend buying from third party sellers. 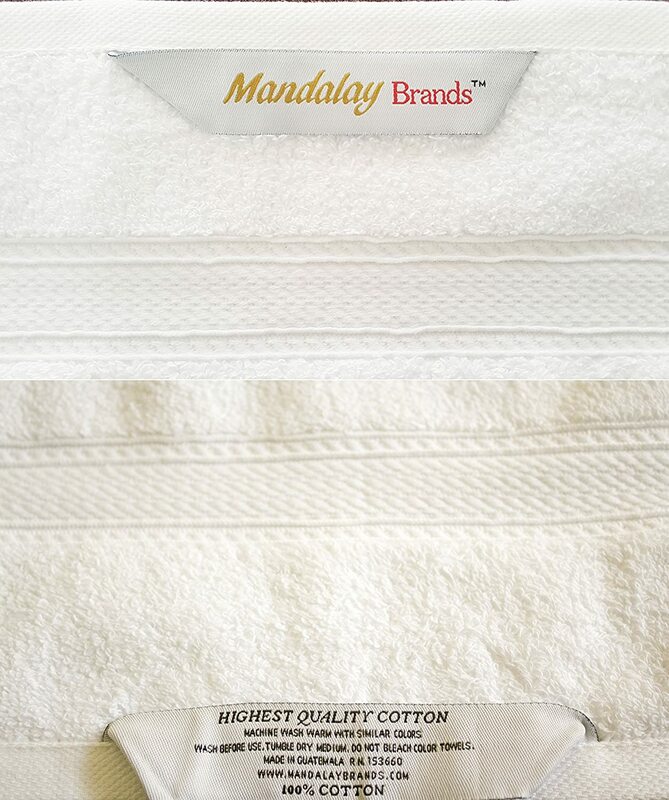 However, please check your towel labels upon arrival for authenticity. 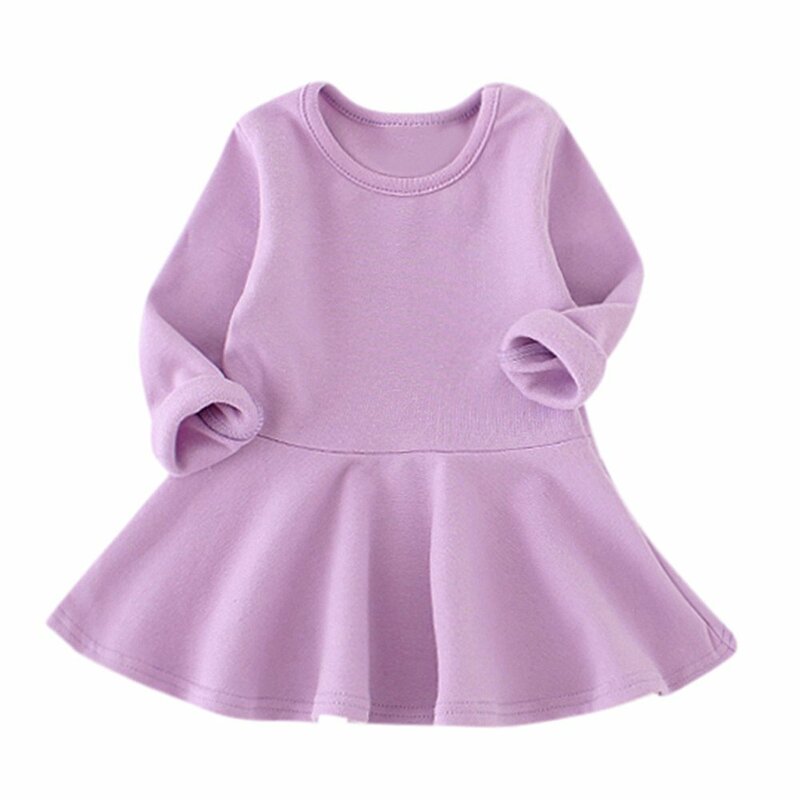 If you receive anything different than the shown pictures in the listing, please contact to Amazon with your order ID# immediately. I like them but my wife doesn't. They are very thick and take several washings to reach acceptable absorbancy. The wash cloths are too big and thick. When fully wet they weigh over a pound(?). It would take a woman weightlifter to use on regularly. These towels are terrible! I ended up washing them three times before their first use because they shed tons of lint. And they never became particularly soft, ev en after adding distilled white vinegar to the rinse cycle. Then, upon laundering after their first use, one of the bath towels is coming apart at the edge binding. I'm VERY disappointed in these towels and therefore do NOT recommend them. 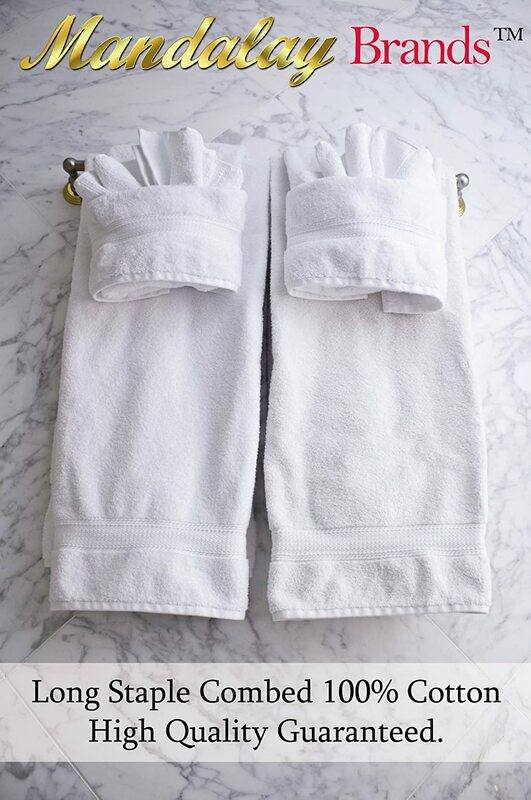 I purchase these for my guest bathroom, but I love them so much they ended up in mine! 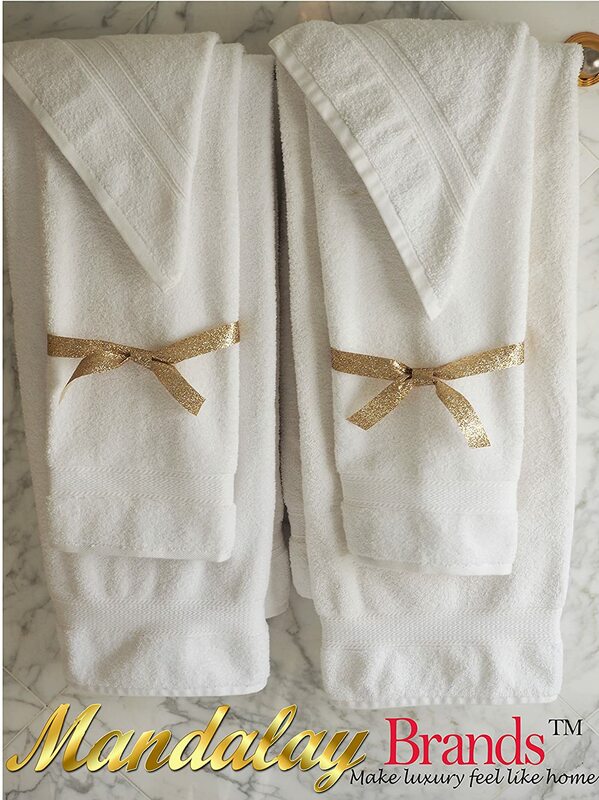 Gorgeous, and high-quality towels. 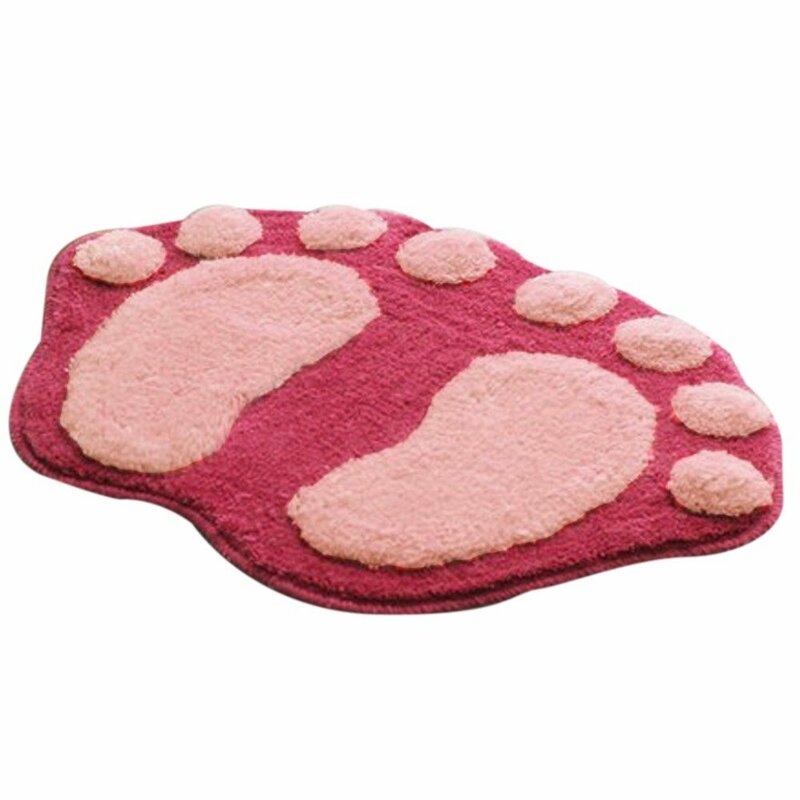 They are supersoft, plus the terry absorbs water very well! Unfortunately, the child of the house got to the stack before I could take a picture of them all nicely together. But shortly after taking the picture, I used one of the towels after washing my face and I loooooooove the texture of it, theyu2019re really nice. This is the kind of material that I feel happy putting on my skin. I totally recommend if you need some new towels. Quite nice. Washed well, and stayed soft without excess u201cfluffu201d wreaking havoc with other items in the dryer. Very nice towels! Happy with my purchase!